The Bakersfield first-grader is talking about why baseball has become one of his favorite sports (along with soccer and wrestling). 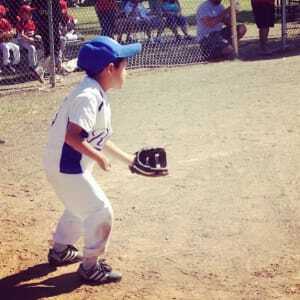 Last spring, he played shortstop on his first T-ball team, and he can’t wait for next season to start. 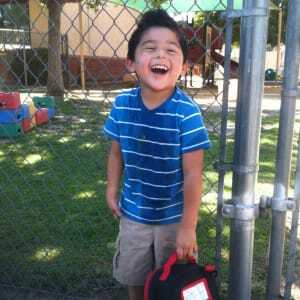 Never mind that Jonny—described by his parents as “active and rambunctious”—was born with a right hand that was significantly smaller than his normal left hand. In addition, his right hand has only a thumb and pinkie, and at birth the two digits were far apart and had little functionality. Even as a toddler, Jonny found creative ways to adapt to having only one hand that he could use, using his chest and left hand to carry and pick up toys, and making his Cheerios “stick” to his smaller hand. But after he turned 3, his right-hand world opened up significantly. That’s when Nina Lightdale-Miric, MD, director of the at Children’s Hospital Los Angeles, performed an intricate reconstructive microsurgery on his fingers. Lightdale-Miric moved his thumb and pinkie much closer together and rearranged his tiny tendons and ligaments—giving Jonny the ability to “pinch” and grasp small, light objects with the hand. Certain items, like cups, are still too big or heavy for him to grasp with his right hand, and sometimes he gets frustrated. But what Jonny lacks in hand functionality he more than makes up for in dogged determination. In baseball, he learned to both catch and throw with his left hand, quickly shifting his glove from one hand to another. And on one Sunday morning last year, he spent 15 minutes steadfastly trying to button a button on his shirt. He prevailed—and buttoned the entire shirt before the family left for church. 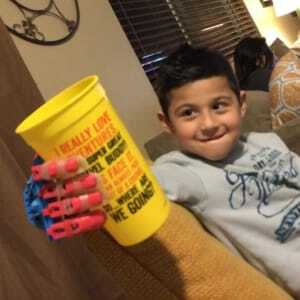 Children with hand anomalies can succeed and thrive, says Lightdale-Miric. Although reconstructive surgeries play an important role, social and emotional support is critical. That’s why six years ago, she founded the Center for Achievement of Teens and Children with Hand Differences (CATCH) at Children’s Hospital Los Angeles. Each year, more than 250 people attend the CATCH summer picnic and its holiday party. Donations fund events, guest speakers, fun classes for kids, and scholarships providing everything from adaptive musical instruments to custom, 3-D robotic prosthetics created by bioengineering students at the University of Southern California. Jonny received such a prosthetic earlier this year, but he’s adapting so well to his real hand that he hardly needs the prosthetic anymore. He and his family—parents Felicia and Daniel, and siblings Mailyn, 14, and Joseph, 10—have been CATCH members since its inception, making the 2½-hour drive to attend. And while a few classmates have singled him out because of his hand, Jonny’s outgoing personality and confidence always wins them over. They quickly learn that, like them, Jonny just wants to have fun.